*$400.00 Closing Fee included in advertised price. Myrtle Beach Chrysler Jeep is not responsible for any price discrepancies, statements of condition, or incorrect equipment listed on any vehicle. Vehicle may have minor road chips, light scratches, wheel scuffs, etc. Depending on the age of the vehicle, normal wear and tear should be anticipated. We may or may not have all the keys and floor mats. We will be happy to obtain extra ones for you at our dealer cost. Before purchasing this vehicle, it is your responsibility to address any and all differences between information on shown online and the actual vehicle specifications and/or warranties offered prior to the sale of this vehicle. All prices and offers are before state, city and county tax/IMF, tag, title, registration and license fees. Price includes $400.00 closing fee. It is a charge that is permitted but not required by law (Section 37-2-307) and is filed with the S.C. Department of Consumer Affairs annually. The full cash price charged at any dealership depends on many factors, including all products and services bought with the vehicle. Out of state buyers are responsible for all state, county, city taxes and fees, as well as title/registration fees in the state that the vehicle will be registered. Dealer not responsible for errors and omissions; all offers subject to change without notice, please confirm listings with dealer. 2016 Jeep Wrangler Billet Silver Metallic Clearcoat Unlimited Sport 3.6L V6 24V VVT 6-Speed Manual 4WD Certified. 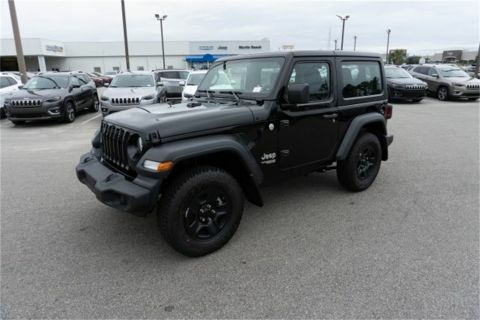 CERTIFIED BY CARFAX- NO ACCIDENTS AND ONE OWNER!, 4x4 - NEVER WORRY ABOUT THE WEATHER!, 4-Wheel Disc Brakes, ABS brakes, Air Conditioning, Compass, Electronic Stability Control, Front fog lights, Low tire pressure warning, Power steering, Steering wheel mounted audio controls, Traction control. Odometer is 27527 miles below market average! Priced below KBB Fair Purchase Price! 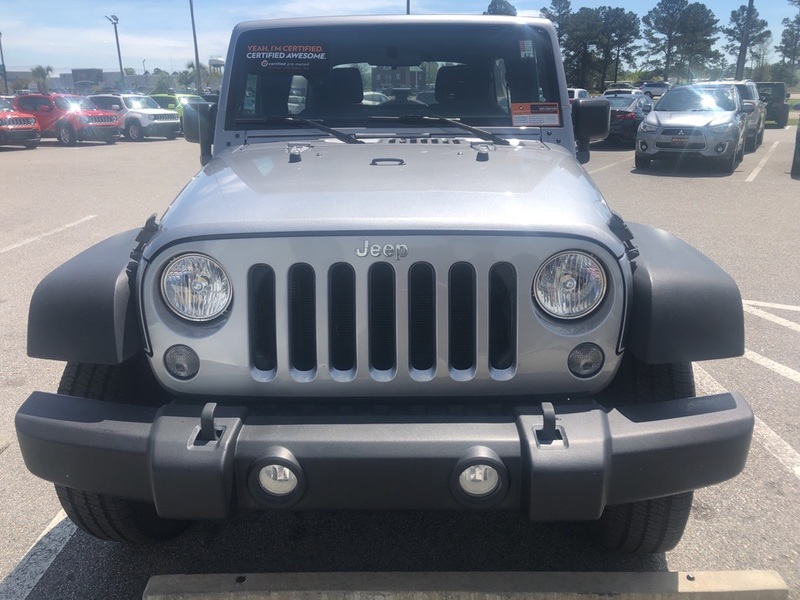 Myrtle Beach Chrysler Jeep will take the time to get to know what you want and work with you to ensure that’s exactly what you have when you leave. That holds just as true for used car customers as it does for new Chrysler or Jeep customers. We will do everything in our power to provide the best loan or lease that works for you and your wallet. In addition to helping drivers find the perfect vehicle, Myrtle Beach Chrysler Jeep also has a state-of-the-art auto repair shop where our highly skilled team of technicians perform routine maintenance as well as other services, such as auto-glass repairs, transmission repairs, and wheel repairs. 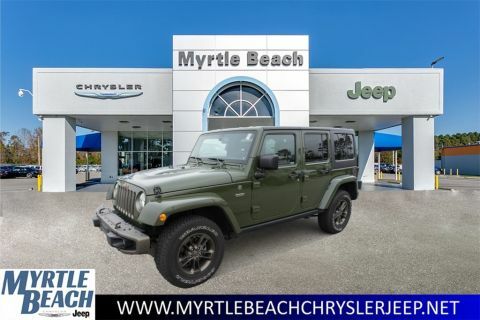 To learn more about Myrtle Beach Chrysler Jeep, our impressive lineup of new Wrangler, Patriot, Compass, 300, and used models, or rave-worthy service, contact us today. We’re conveniently located at 785 Jason Boulevard, Myrtle Beach, SC, 29577. 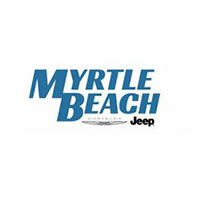 PLEASE CALL (843) 448-1191 OR VISIT US ONLINE AT MYRTLEBEACHCHRYSLERJEEP.NET. CERTIFIED BY CARFAX- NO ACCIDENTS AND ONE OWNER! 4x4 - NEVER WORRY ABOUT THE WEATHER! Buying a new car isn’t something you can really do off the cuff. It’s a long-term commitment. You’re going to be spending almost every day driving it, for many years to come. So, it’s important that you don’t get just any car, but one with which you really click. 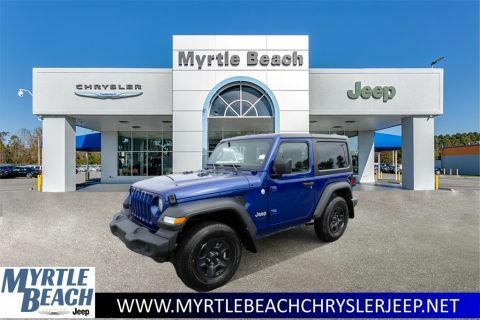 Myrtle Beach Chrysler Jeep will take the time to get to know what you want and work with you to ensure that’s exactly what you have when you leave. That holds just as true for used car customers as it does for new Chrysler or Jeep customers. If you want to be pressured into a purchase, you had best go elsewhere. You, however, can be sure we will do everything in our power to provide the best loan or lease that works for you and your wallet. Myrtle Beach Chrysler Jeep	33.7119581, -78.9106323.